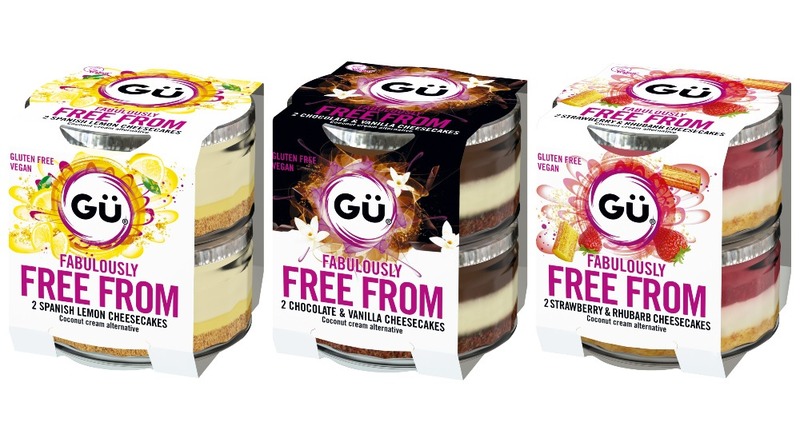 Pudding company GÜ is launching three vegan puddings in stores across the UK from this week. The new desserts include Spanish Lemon Cheesecakes, Strawberry & Rhubarb Cheesecakes, and Chocolate & Vanilla Cheesecakes. The cheesecakes, which are also gluten-free, will launch in Asda, Co-Op, Morrison’s, Waitrose, Tesco and Sainsbury's from this week. "Lovingly created by Gü Head Chef, Fred Ponnavoy, this lineup is a game-changer for those free from pleasure seekers who should not have to compromise on taste," the company said in a statement sent to Plant Based News. "First up, we have the sweet yet sharp Gü Spanish Lemon Cheesecakes. Carefully crafted with luscious layers of zesty lemon coconut cream and a curd-style lemon sauce on a crumbly gluten-free biscuit base, these are the only go-to for the citrus loving free from dessert seeker. "Next we have Gü Strawberry & Rhubarb Cheesecakes made up of a sweet and tangy rhubarb and strawberry compote upon a layer of Indonesian coconut cream, complete with a gluten-free crumbly biscuit base. "A beautifully simple yet winning flavor combination, enter Gü Chocolate & Vanilla Cheesecakes. With layers of silky chocolate coconut ganache and Indonesian coconut cream on a gluten-free biscuit base." The cheesecakes have an RRP of £3.50 for a two-pack.